Jennifer Pastiloff, as featured on Good Morning America, is a lover of life, laughter, poetry, yoga, (and a really good glass of wine.) She is the creator of Karaoke Yoga® and Manifestation Yoga®, which are all about causing serious breakthroughs in your life without being too serious. Her rule of "If you fall you must laugh" is strictly enforced! You will oftentimes find yourself singing in Jen's classes. She also firmly believes you should have at least 1 dance party a day. Her classes often include journaling and music, going upside down, belly laughs and good old fashioned rock-n-roll. She teaches this inspirational style of yoga all over the world with retreats and workshops but home base is Santa Monica. When Jen's nephew Blaise was diagnosed with a rare genetic disorder called Prader Wille Syndrome (PWS), it prompted her to start GAME Yoga. Gifts And Miracles Everyday: Free Yoga for Kids w/ Special Needs. 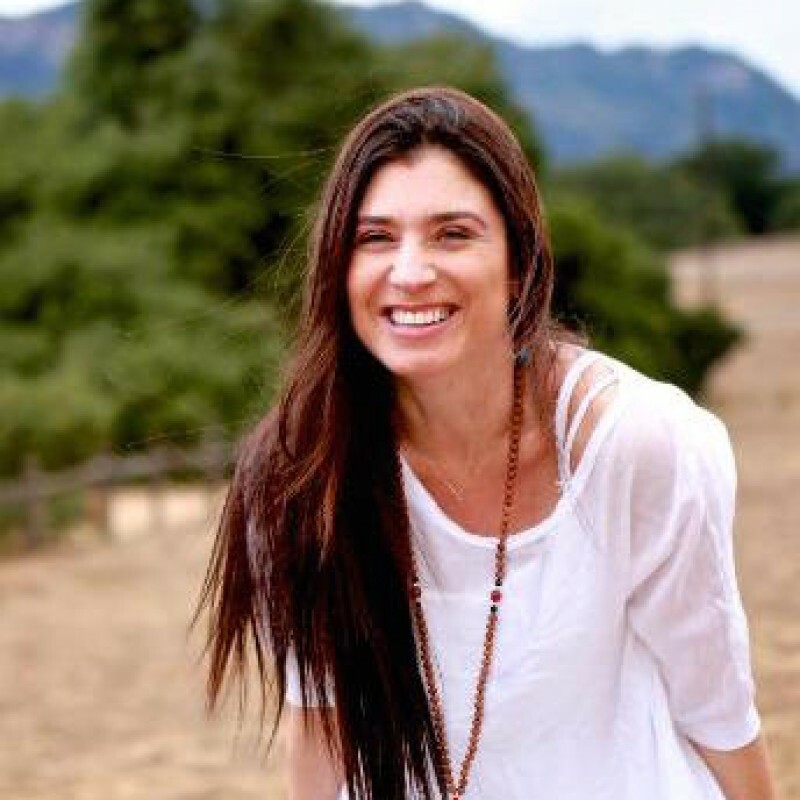 Jen is in the process of writing her first book and is currently a Wellness Expert for MindBody Green, has a weekly column on Positively Positive and a popular daily blog called The Manifestation-Station. Jennifer is partially deaf and wears hearing aids. She spent 13 years working in the same restaurant and believes that everyone should have a job in the service industry at least once in their life. (It's good for the soul.) "Thank you Jennifer, for shining your light on mine." ~ Christy Turlington. How do we live in a state of inspiration? How do we not take our daily surroundings and routines for granted? How do we really see the people closest to us without thinking we know all there is to know already? This is the theme as we flow and breathe and move, opening the hips, shoulders and hamstrings, strengthening the core and staying curious as we go! Expect to sweat and laugh. Please note: there is some independent flow in this practice (during the warm-up, you'll be invited to take 5 series A on your own). The theme today is jealousy versus inspiration. When you see someone accomplish something you'd like to accomplish, do you feel happy for them or jealous? Do you celebrate for that person or feel smaller yourself? When we worry there isn't enough for us, we're coming from fear. When we can be expansive and know that no one can take our place in the sun, we're coming from an open place, and that feels so much better. Open your heart, hips, shoulders, hamstrings and mind, and strengthen your core as we free ourselves from fear! Can you let go of worrying about what other people think, and just be you? That's our theme as we move through a challenging, sweaty flow that includes core strengthening, hip, shoulder and hamstring opening, backbends, optional arm balances, and many chances to laugh! How much are you doing your life your way, and how much are you worrying about pleasing other people? If you "should" on yourself, let's deal with that! Get in your body and move in a way that feels good to you! The theme of this class is: Being in your body. 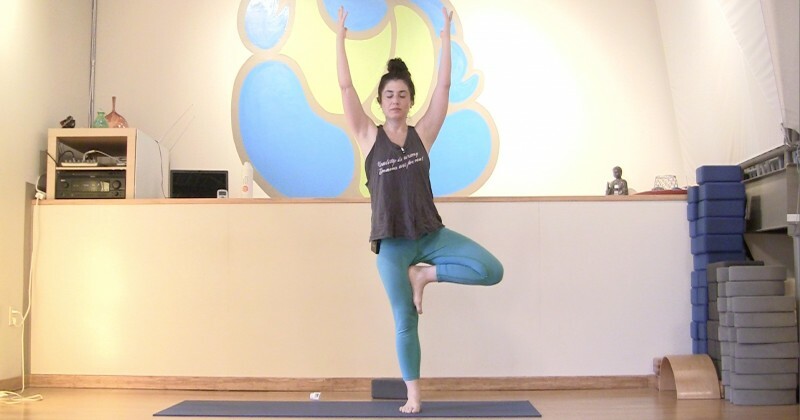 This vinyasa flow all levels class is designed to help you get fully present, awake, and aware. It's so easy to check out and this class is here to help you stay put, even when it is messy or painful or hard. The intention of this class is standing in your own truth. Taking up space in the world. Using your voice. Not playing small. A flowy vinyasa class designed to shake you up and get you to go out into the world and be BIG. A gorgeous long cool down at the end and some quiet moments, as usual. May I have the courage to release what is no longer serving me. 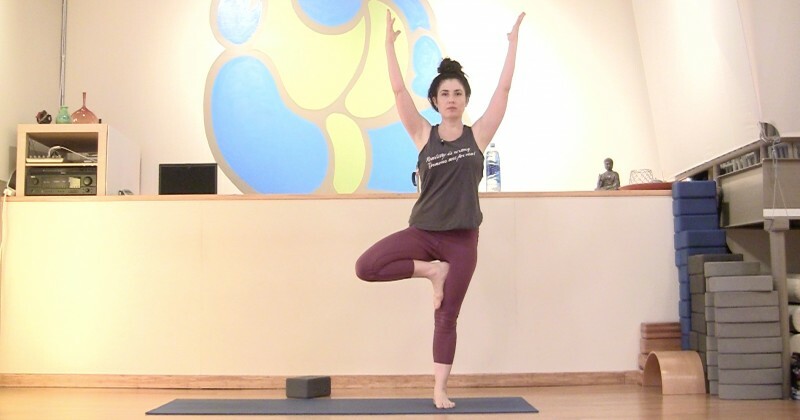 An all levels vinyasa flow focused on surrender and release. Go at your own pace as usual in all of my classes. Peace begins with me. A class designed to get us quiet in the mind and body. As usual, a vinyasa flow that is challenging but suitable for all levels with a long cool down at the end.